You must bust all bubbles of the classic Bubble Shooter before it's too late. You can play the exciting Bubble Shooter from your PC or the convenience of your cell phone so you do not waste a moment doing your favorite game. The bubbles want to take over the intergalactic space and you must neutralize the attacks of the bubbles. Dare to explode as many bubbles before they reach the bottom of the box. Good luck with the aim!. 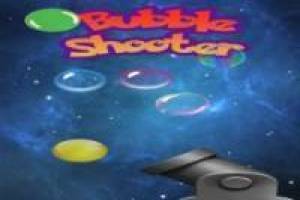 Enjoy the game Bubble Shooter android, it's free, it's one of our Bubble shooter games we've selected.